“We are all immigrants. The difference between one citizen and another is whose family immigrated first. My father taught me the meaning of hard work and sacrifice. I learned the importance of natural ingredients and respecting the earth from my mother. She was a very creative woman which was reflected in her striking embroideries and woven baskets. She taught me how to make natural dyes from the earth and I inherited her love of nature and beauty. Growing up my brothers and I often heard stories from our father about how wonderful America was when he lived in New York in the 20’s. We dreamed about going to America when we grew up to try to achieve the American Dream. I received an acceptance to study to become a teacher. Upon arriving, I soon learned that the culture and traditions here in the US were extremely different then what I was accustomed to. I met many wonderful people who helped me adjust. I owe all of my success and knowledge to my family. My parents’ stories and how they lived helped to build my strength and determination and taught me how to endure any obstacles. Life is good. I am the Chairman and Founder of Farouk Systems, Inc. a billion-dollar professional haircare company that manufactures CHI, BioSilk, & Esquire Grooming haircare brands, and services 144 countries worldwide. I recently signed a partnership agreement with LG Electronics, a first in the beauty industry. As an inventor, I own 23 Global Patents and I have worked with NASA for product technology over the years. Proudly, I revolutionized the beauty industry by creating the world’s first ammonia-free hair color. My entire career has been devoted to providing hairdressers with the safest and most advanced technologies for every product or tool I have created. I am constantly seeking new innovations to incorporate into everything my company manufactures. My passion for the hairdresser and the beauty industry has led me to be a frontrunner globally as I love to share my knowledge and expertise with others. My company also celebrates hair artistry with the CHI Lone Star College-North Harris School of Cosmetology at the new state-of-the-art facility in Houston, Texas as well as over 500 partner schools across the country. My goal is to impact the growth and development of future hairstylists as well as influencing their lives globally with Advanced American Technology and passion for hair. My mission is environment, education and ethics, creating a company that is environmentally responsible, promoting education and adhering to the highest ethical standards. I strive to bring goodness into our world. I support organizations doing good work and I serve on the board of many organizations, including the NDUF (National Defense University Foundation). This past spring, I was appointed National Defense University Foundation’s Special Representative and Adviser for International Affairs. I have tried to help my fellow hairdressers in need whenever a natural disaster has occurred. I have helped to build schools for education and manufacturing plants to help those in need of a career or simply a job. 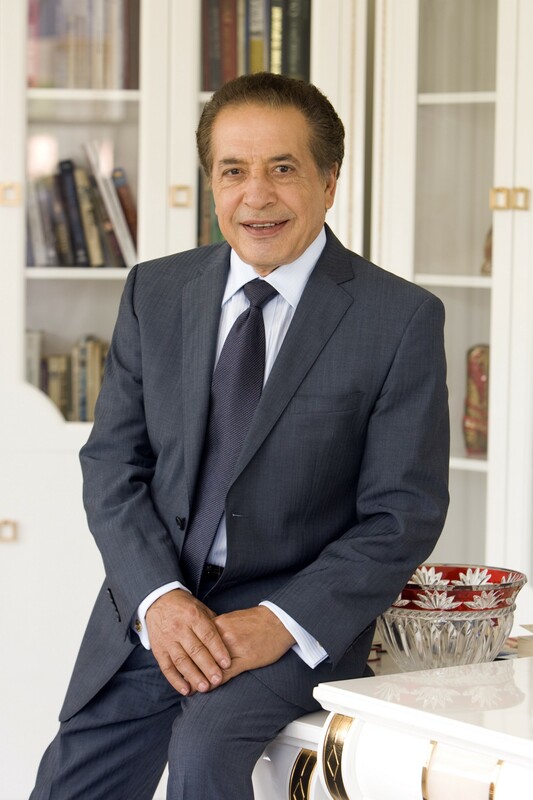 I recently established the Farouk Shami Foundation for Peace. We are all immigrants. The difference between one citizen and another is whose family immigrated first. I would open legal immigration and encourage it especially for scientists. The more educated the population is, the stronger America is. Many of these are not new to many of us but re-enforcing the basics is often necessary. 2. Education — Look into classes or courses devoted to the field you wish to enter. Knowledge is power. Once I knew that I wanted to become a hairdresser, I enrolled in beauty school. Through the years, I have continued to learn all aspects of the beauty industry. 3. Passion — Be passionate about your goals. For over 50 years I worked with passion for the beauty industry and my career choice. I had a deep desire to create products and tools that will help the hairdresser, the environment and the world. Through the years, I have listened to the needs and then sought a solution. 4. Integrity — One must have integrity and respect. Your reputation is not about what you earn but how you earned it. It is how people perceive you and what your company stands for. I worked hard to maintain a good reputation. 5. Company — Surround yourself with friends, employees and business partners that share your values. Through the years, I have surrounded myself with people, employees and partners that see the future of the beauty industry as I do. In 1986, I met John McCall and his mother when I was introducing SunGlitz in Austin Texas. At that time, John’s mother told him that SunGlitz was innovative and advised John to start distributing SunGlitz. As history shows, John did not just distribute the brand but joined me as a business partner and best friend Together, John and I continue to grow and create brands, always putting the hairdresser, the environment and education at the forefront. I would love to have breakfast with Elon Musk to discuss innovation.